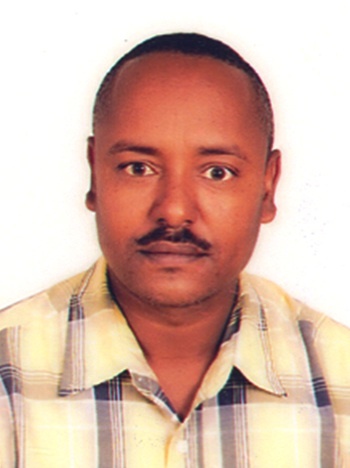 Assefa received a Bachelor's degree in Mathematics from Bahir Dar University, Ethiopia. In 2009, he earned a Master's degree in Integrated Watershed Management and Hydrology from Cornell University hosted at Bahir Dar University. After graduation, Assefa was employed as Soil and Water Management Researcher at the Amhara Region Agricultural Research Institute (ARARI) at Adet Agricultural Research Center and was later promoted to Center Director. During his three years at ARARI, Assafa researched upland erosion processes, evaluated different biophysical conservation techniques, and coordinated watershed management research projects. He published several journal articles together with his colleagues. Currently, he is working towards his Doctorate in Biological and Environmental Engineering at Cornell University with an emphasis on soil and water management. Assefa is interested in developing soil and water conservation techniques at watershed scale. He is currently studying extents and rehabilitation of gully erosion in the Ethiopian highlands.